WHY IS THE TEMPLE BAR FAMOUS? The Temple Bar is formally known as “Temple Barr” In the 18th Century this area was not safe to visit, but it was the place to go if you were looking for prostitution. As years passed, the area didn’t improve, which resulted in rent for homes, boutiques and bars to be sold at a discount. Over time, the locals started to like the Irish Bohemian area and it started to become trendy. Then in 1991, the government decided to modernize the area, which only added to its popularity. 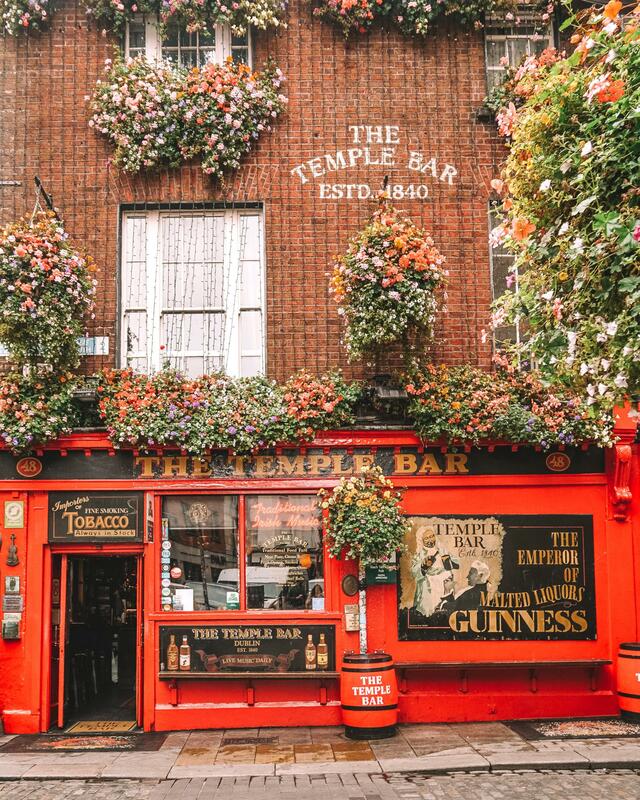 Today, The Temple Bar is one of the most popular pubs in all of Dublin generating over 680 Million Euros of Revenue annually. The Temple Bar known for its rich history, and the pub also has a gorgeous outside with flowers hanging on the building with low hanging lamps on the inside. Plus inside, it houses a bronze statue of James Joyce. Drinks are a little on the expensive side, but keep in mind you are paying for the experience. My advice is to grab a drink or two here and then head out to another pub if you want to continuing drinking for the night. Luckily for you, when my brother and I were in Dublin we went to the Temple Bar multiple times. 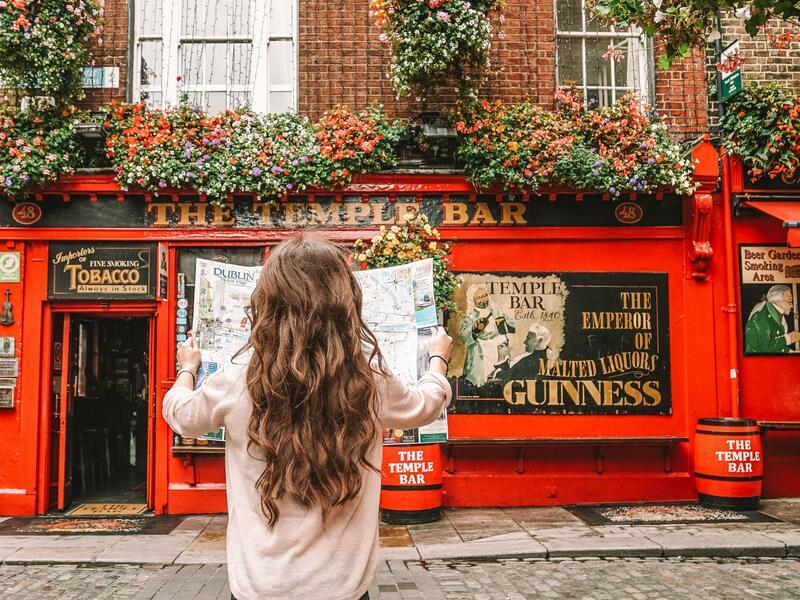 WHAT IS THE BEST DAY AND TIME TO GO TO THE TEMPLE BAR? During the day Monday Thru Friday the temple bar is virtually empty. There are a few tourists here and there sitting down grabbing a drink. We grabbed an Irish coffee and didn’t stay long. Most of the workers will be running around preparing for the night. During the day you will have no problem grabbing a table and enjoying a drink. Perhaps, if you’re lucky enough you will be able to see the Guinness Kegs being delivered from St. James’ Gate. A few people start arriving around 7PM, but it really doesn’t get crowded until about 9:30-10PM. If you want a seat or a table with friends I recommend arriving earlier. During the week it’s going to be a little less crowded then on the weekends. Keep in mind; because it’s a tourist destination it’s always going to have people there. In Dublin the weekend begins on Thursday. On Thursday the bar opens at 10AM and people are there ready to begin their weekend and then on Friday and Saturday it’s even more crowded during the morning. Many die-hard Temple Bar fans come drink all day and then party all evening. This isn’t uncommon due to the atmosphere provided by the live band at night. When you go to the temple bar on a weekend it’s like any other pub you’d go to on the weekend, long lines, crowded, and tons of friendly people. Unlike a normal pub, you’ll meet people from all over the world that gather at this famous pub for a drink. On the weekend they bring in a live band. If you want a seat to listen to the band then I recommend you get there early. Expect long lines and it can become quite crowded. 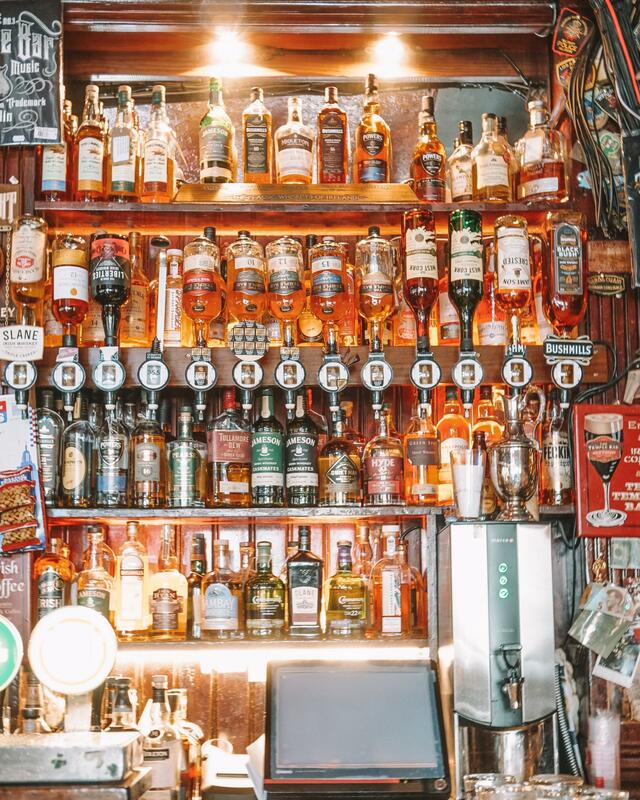 The temple bar is pretty big in size so there are multiple rooms you can enjoy a drink in. Even on a Sunday night the pub is bumping until all hours of the night. 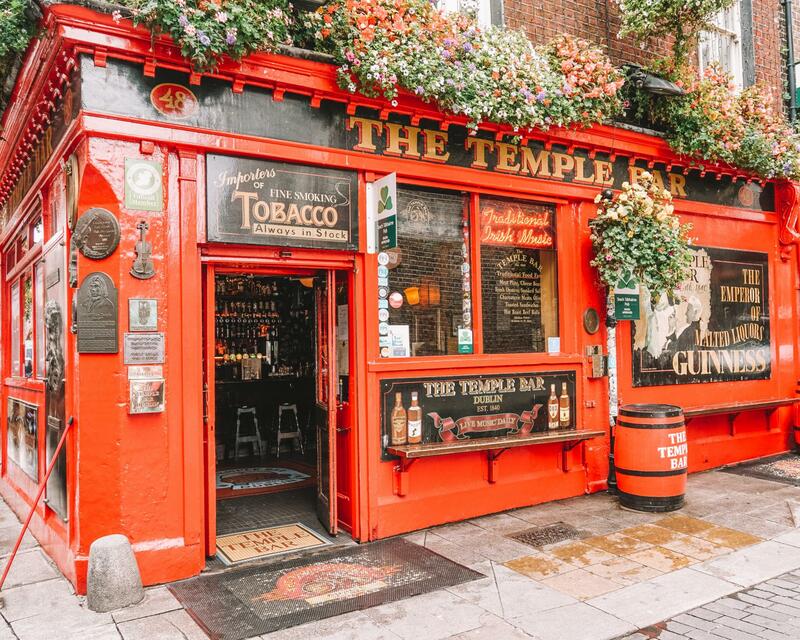 In conclusion, if you’re looking for a less crowded day or night definitely go to the Temple Bar during the week, and if you’re looking for a full pub experience go on the weekends. On the weekend the Pub tends to get very warm due to the crowds, wear something light or layer with a jacket that can easily be removed.